The United States Navy saw substantial action in the War of 1812, where it was victorious in eleven single-ship duels with the Royal Navy. The navy drove all significant British forces off Lake Erie and Lake Champlain and prevented them from becoming British controlled zones of conflict. The result was a major defeat for the British invasion of New York State, and the defeat of the military threat from the Indian allies of the British. Despite this, the U.S. Navy was unable to prevent the British from blockading American ports and landing troops on American soil. USS Constellation was a 38-gun frigate, one of the “Six Original Frigates” authorized for construction by the Naval Act of 1794. She was distinguished as the first U.S. Navy vessel to put to sea and the first U.S. Navy vessel to engage and defeat an enemy vessel. Constructed in 1797, she was decommissioned in 1853. On June 22, 1813, her crew played a crucial role in the Battle of Craney Island. The American victory at Craney Island saved Norfolk and Portsmouth from being captured and pillaged by the enemy. USS Constitution is a wooden-hulled, three-masted heavy frigate, named by President George Washington after the Constitution of the United States of America. The boat is the world’s oldest commissioned naval vessel afloat. 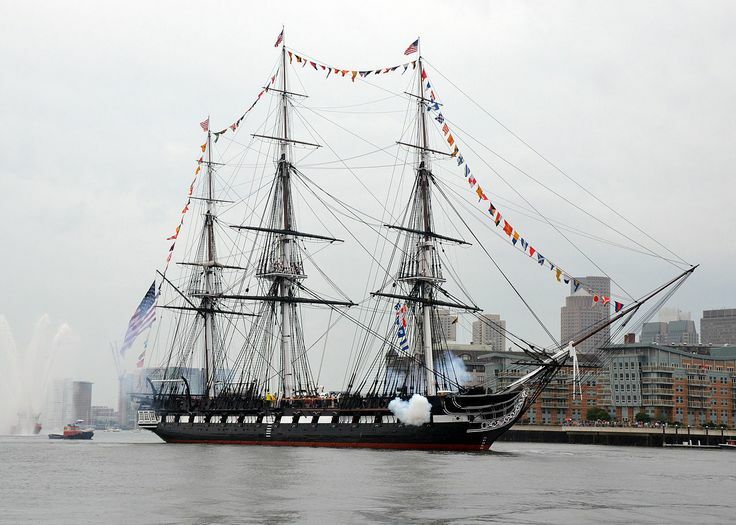 [Note 1] Launched in 1797, Constitution , like USS Constellation, was one of the “Six Original Frigates”. Joshua Humphreys designed the frigates to be the young Navy’s capital ships, and so Constitution and her sisters were larger and more heavily armed and built than standard frigates of the period. 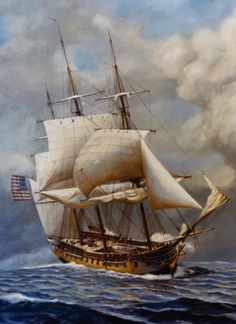 Constitution is most famous for her actions during the War of 1812, when she captured numerous merchant ships and defeated five British warships: HMS Guerriere, Java, Pictou, Cyane, and Levant. The battle with Guerriere earned her the nickname of “Old Ironsides” and public adoration that has repeatedly saved her from scrapping. 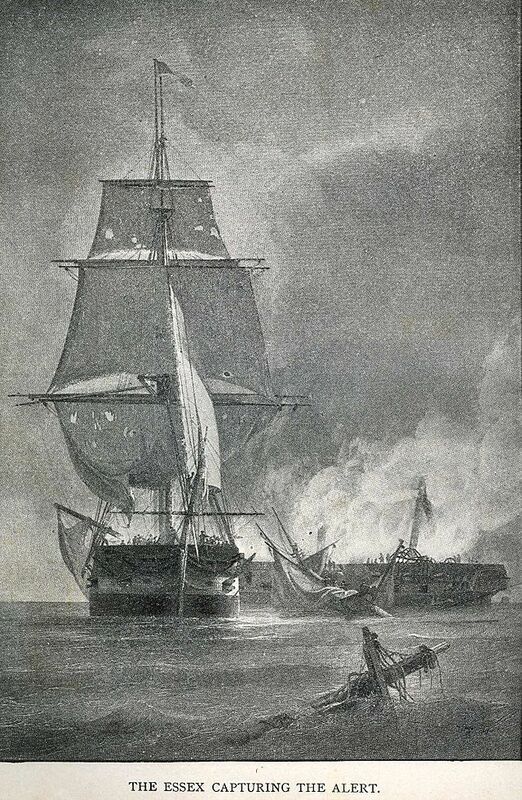 The first USS Essex participated in the Quasi-War with France, the First Barbary War, and in the War of 1812. When war was declared, the 32 gun frigate, commanded by Captain David Porter, made a successful cruise to the southward. By September, when she returned to New York, Essex had taken ten prizes, including the sloop HMS Alert. The youngest member of the Essex crew was 10-year-old midshipman David Glasgow Farragut, who would become the first admiral of the US Navy. Essex sailed into South Atlantic waters and along the coast of Brazil until January 1813, decimating the British whaling fleet in the Pacific, and capturing thirteen British whalers. In January 1814, Essex sailed into neutral waters at Valparaíso, Chile, only to be trapped there by the British frigate, HMS Phoebe, and the sloop-of-war HMS Cherub. On 28 March 1814, in the Battle of Valparaiso, Essex, armed almost entirely with powerful, but short range carronades, resisted the superior British fighting power and longer gun range for over 2 hours. Eventually, the hopeless situation forced Porter to surrender. The captured frigate then served as HMS Essex until sold at public auction on 6 June 1837. Patrick O’Brian adapted the story of Essex‍ ’​s attack on British whalers for his novel The Far Side of the World. 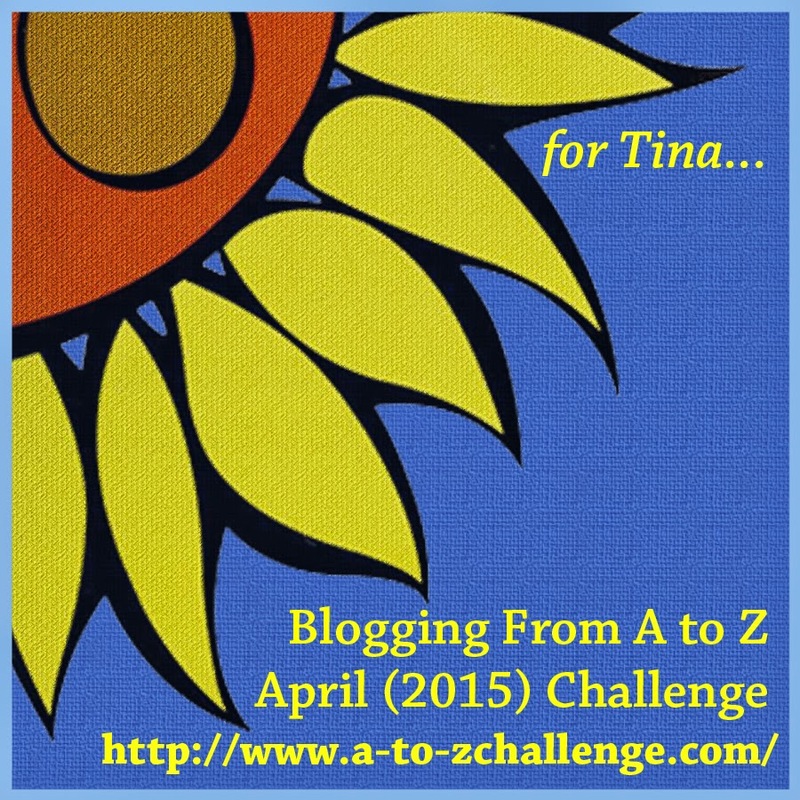 This entry was posted in A to Z Challenge, Culture, Ideas, Seeking A knife and tagged A to Z Challenge, US Constitution, US Navy, USS Constellation, USS Essex, War of 1812. Bookmark the permalink. I saw the Constitution when I visited Boston last year. Growing up in UK encountered more than a few ships, but nearest to these fighting vessels was being on HMS Victory, Nelson’s flagship at Trafalgar.